Summer is upon us - especially here in Las Vegas, where temperatures are blazing well past 100° - in fact, they're set to reach 113° tomorrow! What goes perfectly with summer? NEONS! 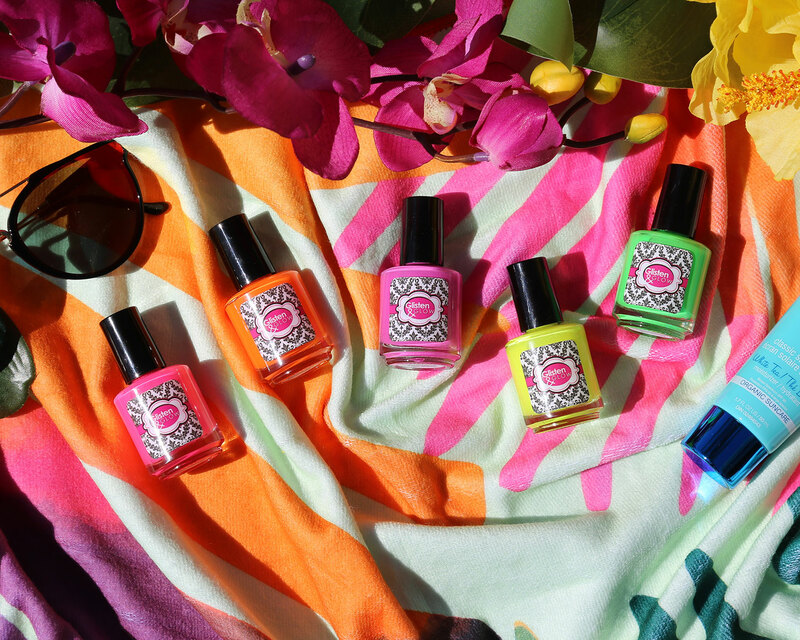 They're the perfect summer polish - they even manage to make ghostly pale girls like me look much tanner than we actually are! 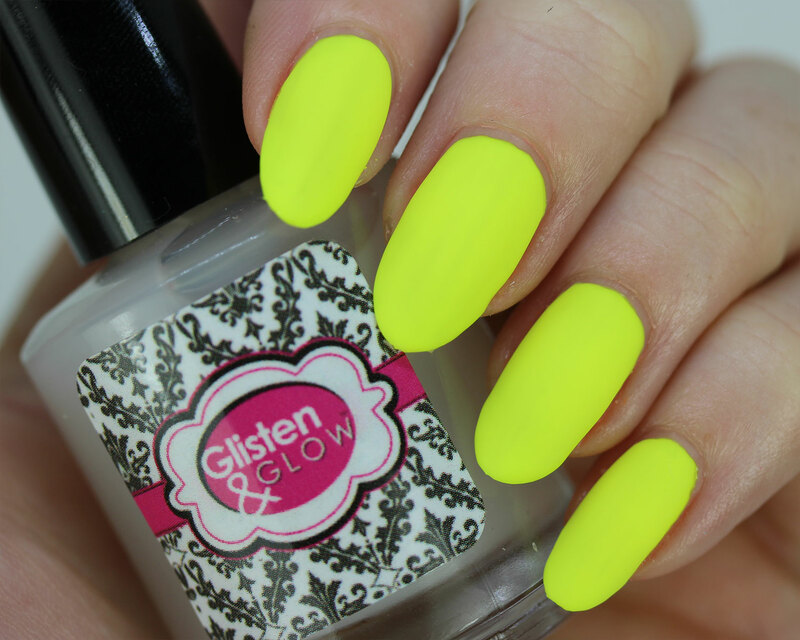 For this year's summer collection, Jill came up with some killer neons- they're fairly opaque, are hella bright even without a white base, and even stamp! 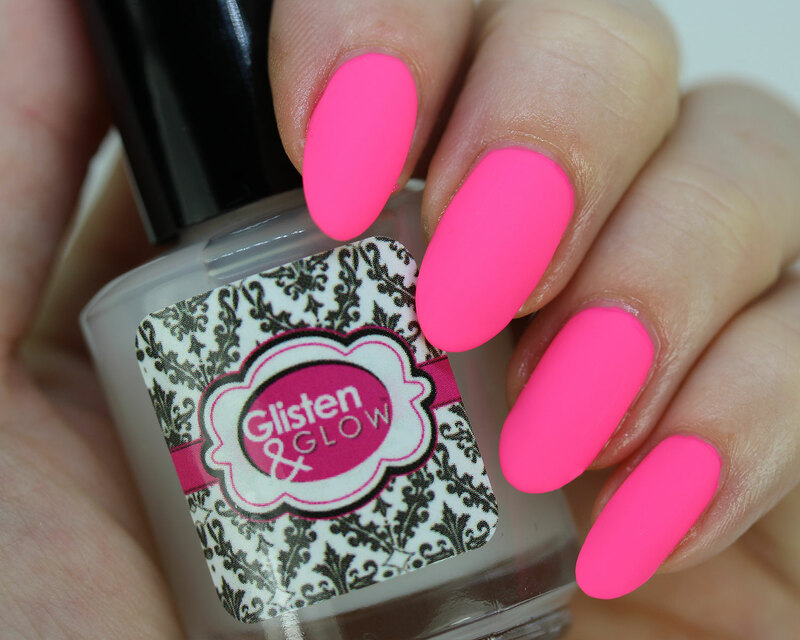 Read on to see swatches of this new collection from Glisten & Glow! What's more refreshing than cold watermelon on a hot summer day? 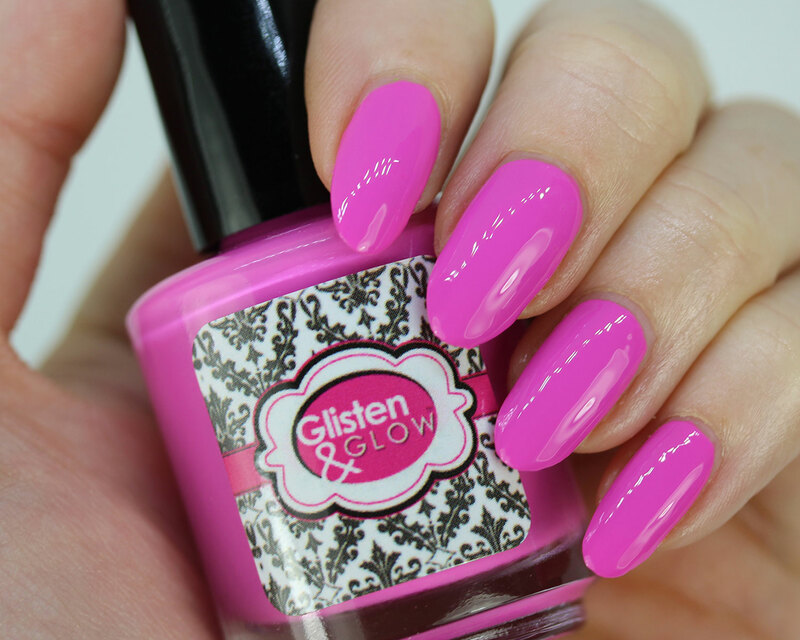 This bright pink screams summer! Orange you glad I didn't say banana? Wait, what? Who knows, I'm just too distracted by this eye-searing orange neon creme to think straight! Yellows are always a struggle, and while this one is good, it's still the toughest of the bunch, and requires 3 coats to help disguise a visible nail line. It's pretty damn bright though, so totally worth it. If you don't want to do three coats, you can always put a coat of Wedding Gown White underneath it to take care of that pesky VNL and really make that yellow pop! 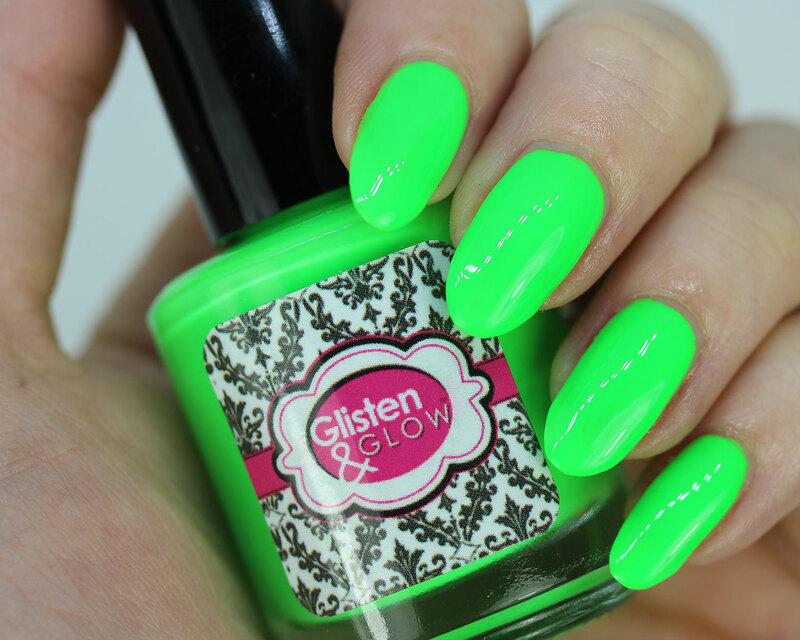 Like liquid lime popsicles melting over your nails, this bright neon green is summer minus the popsicle sticks. This one is a little hard to describe, but it is by far the most opaque of the bunch! It's not quite purple, and not fully a pink either, so it lies somewhere in limbo between them in all its neon glory. I'm surprised to admit it, but I think it's my favorite of the bunch, and perfect for nail art! 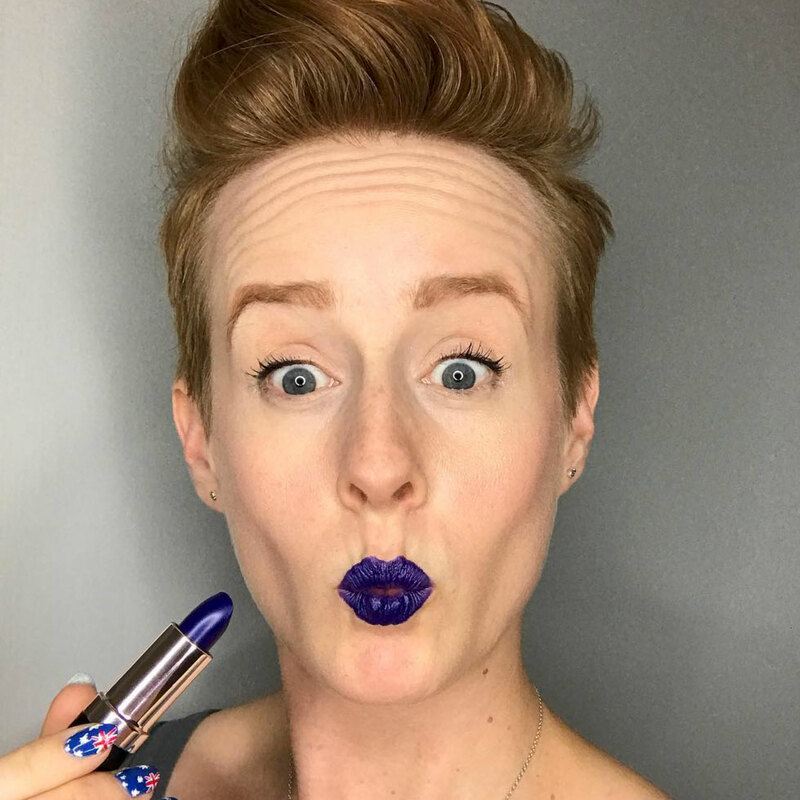 Disclosure: Products in this post were sent to me by the brand, but all opinions are my own. Cupcake Polish 5 Year Anniversary Trio!